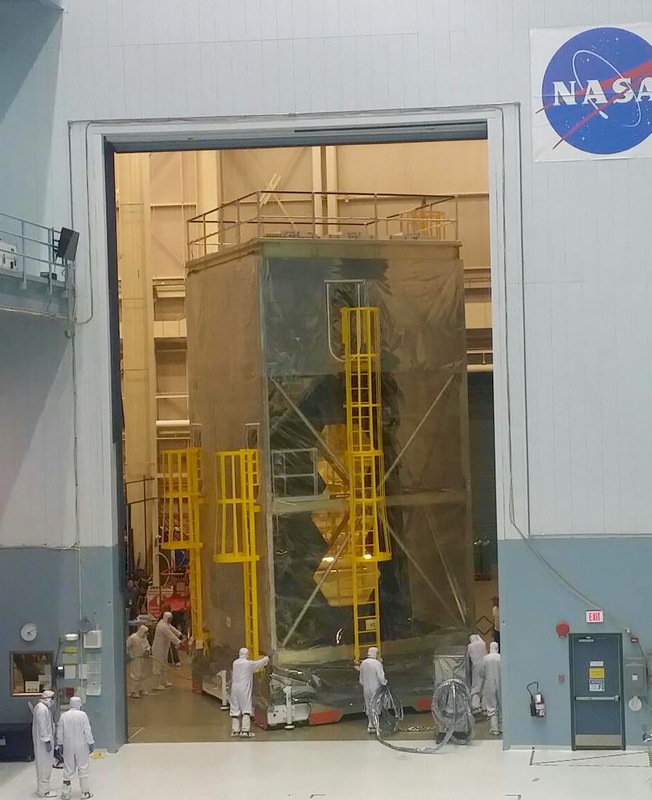 Earlier this month, on Dec. 3, accelerometers at NASA’s Goddard Space Flight Center (GSFC) detected “anomalous readings” in a portion of the James Webb Space Telescope (JWST). These “readings” took place during vibration tests being conducted to simulate anticipated launch conditions. 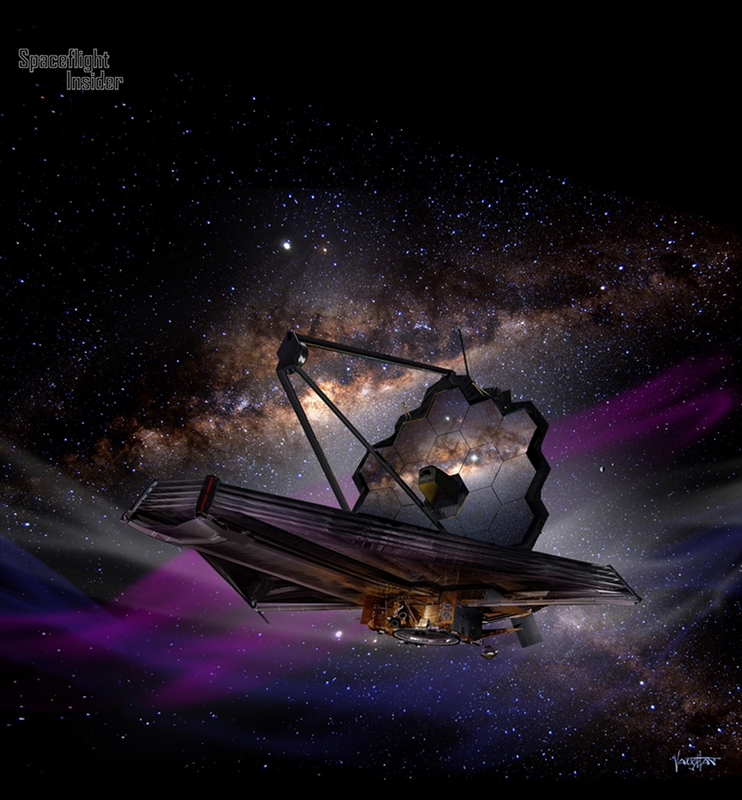 JWST is NASA’s (in partnership with the European and Canadian space agencies) next-generation space telescope and is intended as a successor to Hubble. Further tests to identify the source of the anomaly are underway. The engineering team investigating the vibe anomaly has made numerous detailed visual inspections of the Webb telescope and has found no visible signs of damage. They are continuing their analysis of accelerometer data to better determine the source of the anomaly. They have conducted a low-level vibration of the hardware to measure its responses, and are comparing the results with data obtained prior to the anomaly. Engineers are currently running diagnostics to determine the cause and to assess any potential impacts. Last month, SpaceFlight Insider was onsite, at GSFC’s Building 29, in Greenbelt, Md., for the agency’s “Golden Mirrors” event held in celebration of the completion of the OTIS (Optical Telescope, plus Integrated Science instrument module) portion of the JWST. At that time, OTIS was being prepared for vibration testing, which was scheduled to begin in late November and last approximately three weeks. Following the vibration testing, and subsequent acoustic testing, OTIS is scheduled to be flown to Houston’s Johnson Space Center (JSC) for cryogenic and vacuum testing, before being flown, in late summer 2017, to Northrop Grumman, in California, to be mated with the spacecraft bus and sunshield. Assembly and testing, in California, is expected to continue until the summer of 2018 when the completed JWST will be transported to the launch site in Kourou, French Guiana. The launch is scheduled for October 2018 on the European Space Agency’s (ESA) Ariane 5. It always scared me, after I read that it would be put out there in space where astronauts couldn’t get to it to fix anything that might malfunction. That is a pretty complex creation to function for decades without anything malfunctioning. The bad drill on the Mars rover and the problem with the satellite orbiting Jupiter come to mind. Murphy’s law strikes at the worst time. Hopefully, it will work fine, since it is too expensive to build another one for a long time, if it doesn’t. Was there any viable option of testing in earth orbit and then boosting on it’s way? I doubt it. Once they went into Earth orbit, getting it out would probably need a lot of energy. My guess is that they would need another stage to do that. And another stage or even another burn of an engine already part of it, would introduce more chances for something going wrong. They need to completely understand what happened and correct it before it gets launched. Those 2 big solid rocket motors on the French rocket will give it a rough couple of minutes until they burn up. I’m sure they won’t take too many chances, after the screw up with the Hubble mirror grinding.